Explore replacement window glass prices and options, including clear glass, low-e glass and laminated glass. Nearly all windows made today are double paned, meaning that they have two panes of glass instead of the single pane that was much more common decades ago. The two panes of glass are part of the insulated glazing unit (IGU), which is one of the main components in a replacement window. Along with the double panes of glass, an IGU is also made up of a spacer system, krypton or argon fills and the seals that keep the unit airtight. The insulated glazing unit is perhaps the most important component in creating an energy efficient window that blocks out air, heat, and coldness from entering or exiting through the window surface. 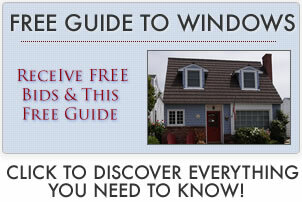 Check out our replacement windows ratings page for additional information on energy efficiency. The least expensive replacement window glass is called clear glass. This type of window glass does not contain the low emissivity coating that helps to block out short frequency (harmful) UV rays. Clear glass may or may not come standard on the replacement window that you were considering buying. It’s pretty tough to put a price on clear glass, but it should cost someone in the neightborhood of $50 per pane for a normal size window. Many replacement windows come standard with a low-e1 glass. Low e stands for low emissivity and is a coating that is applied to the interior of the inner pane of glass and the exterior of the outer pane of glass. As we mentioned before, the low-e coating filters out harmful UV rays and blocks heat or cold from entering throught the IGU. Many times, low E glass is made up of one, two or three low E layers that work together to maximize a window’s energy efficiency. For example, three low-e coatings would make a low E3 glass. Low E glass will typically add about $25 to the base price of a window. A low E2 glass will typically add about $50 to the base price of a window and a low E3 glass will typically at about $75 to the base price of the window. Laminated glass is usually only used on impact or hurricane windows and is much more impact resistant than a normal low-e or clear glass. To upgrade to a laminated glass, you are looking at roughly $125 to $150. Laminated glass also will help some with the noise control properties of a window. Repair rates are going to vary tremendously, but we’ve found glass repair hourly prices to be anywhere from $25 to $75 an hour, not including the cost of the glass. The glass is often $50 to $150, depending on the size and type of glass (laminated glass excepted). Most window repair professionals should be able to give you a bid over the phone when you provide them with the size, brand and style of window.